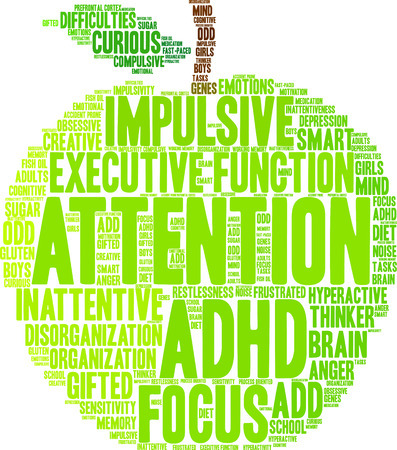 Can correcting ADD/ADHD be as simple as replacing a few nutrients? YES! In fact, those missing nutrients are most often the CAUSE of the problem: the child is missing key building blocks they need to make their brain chemicals. These include vitamins, minerals and amino acids (proteins). So why not start by replacing the missing pieces. We’ve found that most often that’s what is needed, not medication! “Our daughter has always struggled with being able to pay attention and focus on multiple things at a time. Up until she was in fourth grade, we didn’t think that it was affecting her in school- we were wrong! Instead of taking the medical route and medication, we chose to explore a more holistic approach with BeWell Associates. We met with Angie Redmond, N.C. at BeWell Associates. She conducted a thorough interview of our daughter’s health history, diet, habits, etc. Based on food allergy testing she recommended an eating plan and a regimen of supplements that supported what our daughter’s needs. For the next several months, there were improvements in her behavior, sleep patterns, ability to focus, etc., but not significant enough. Angie recommended we test her using the TRIAD functional test to further investigate what was really going on with our daughter. This was an extremely valuable test that gave us the detailed information we needed. Angie altered our daughter’s dietary and supplement program, based on the testing. Within two weeks of the “new plan”, there was great improvement with our daughter all the way around. She even commented that school was so much easier now that she can focus. Over the summer, we were not as consistent with what she ate or making sure that she got her supplements. There was such an evident decline with not following Angie’s recommendations that we immediately started back up and decided that it wasn’t worth it to deviate from it. We are extremely thankful that Angie and BeWell provide such a valuable service. Our daughter never needed medication-she needed the nutrients to support her brain, and to change her diet to support her body chemistry.